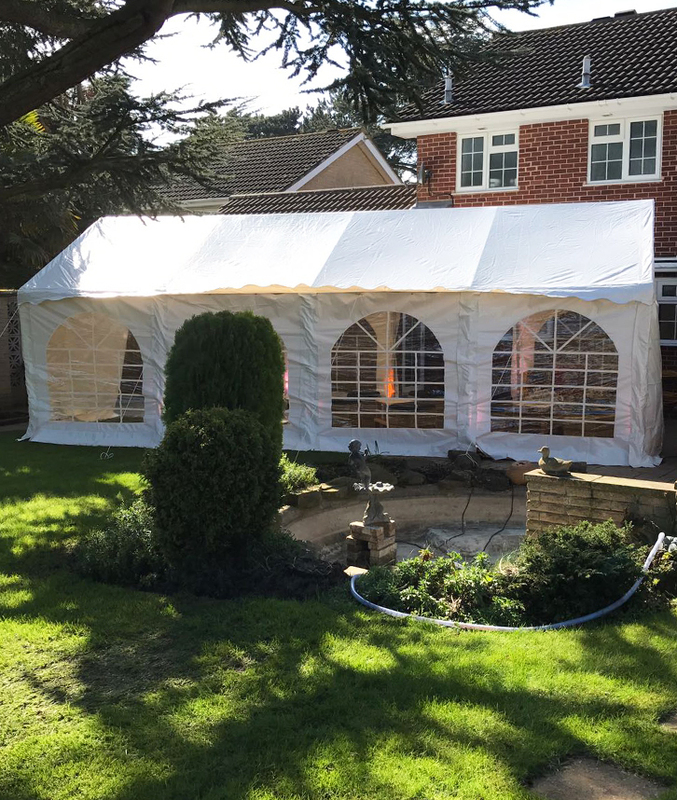 Ideal for a grass surface our marquee hire is perfect for smaller more private functions or for use as an extension to gatherings to be held within a large garden or outdoor space. 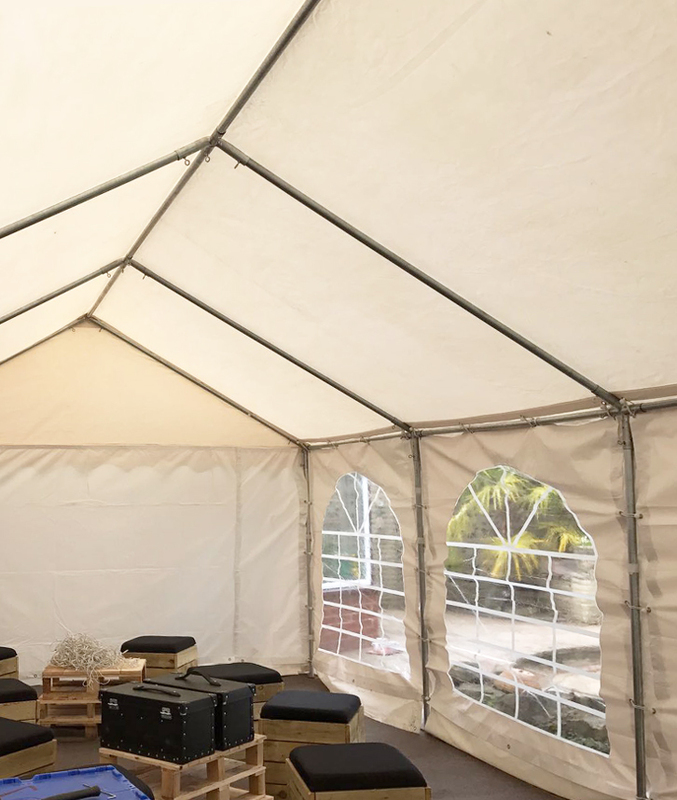 White in colour, our marquee can be setup in a variety of formats and sizes, with the maximum size being 8m in length by 4m wide. With clear acrylic windows, you can choose to have one or more openings for ventilation and for your guests to access as they please. 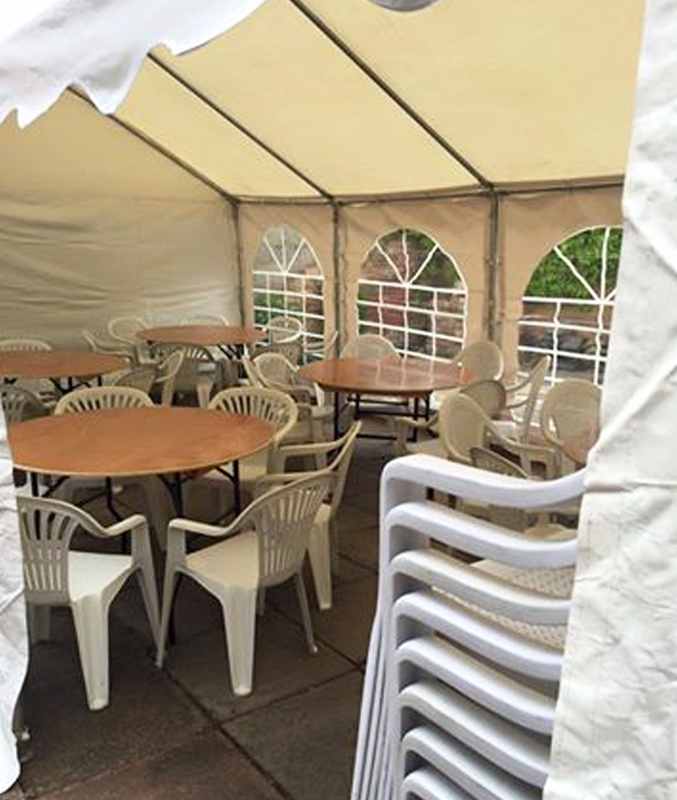 Secured by stakes and rope, our events team will setup the marquee, ensuring this is safe and secure for your guests. Don’t have enough furniture for your guests? Here at Solid State UK we also offer a wide range of furniture and accessories for hire such as tables, chairs, crockery and much more! 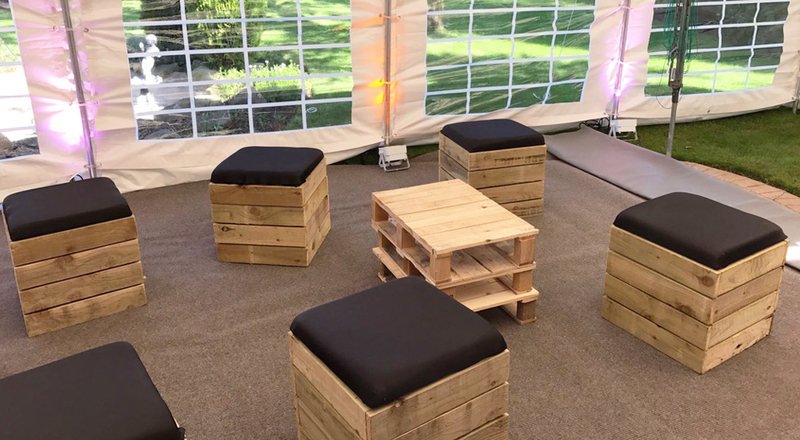 Currently a popular choice, our pallet furniture is now a great alternative in providing comfortable and practical seating and table solutions, which doesn’t take up too much space. We can even decorate the marquee with uplighting and dance floors and we can also provide props and styling to suit any theme or party atmosphere – We can even provide bar hire – We cover it all!